One of the three characteristics that differentiates ourselves from the competitor is parallelism. Parallelism is defined as the quality or condition of being parallel; a parallel relationship. For the Northern Industrial Manufacturing product, this is absolutely critical. 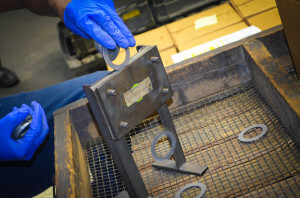 Whether it is thrust washer, shim, or spacers that our customers are installing into their application, if parallelism is off, so too is our customers assemblies.